Play for cash and tech prizes! Win cash and tech prizes! 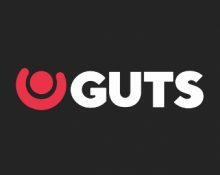 Explore selected Play’n Go games at Guts Casino and complete missions to earn points for the €6,000 leader board, with a massive €1,000 to be paid to the winner in cash. That’s not all, you can also win a hi-tech gadgets in daily prizes draws throughout the campaign period. All players. Up for some extra excitement? Then take part in the current cash race at Guts Casino to win a share of the €6,000 prize pool the race as well as tech gadgets in daily raffles. Simply, play on a selection of Play’n GO slots to earn points and race into the TOP59 by midnight on 2nd December 2018 to win up to €1,000 in cash. The tech gadgets will be raffled off every day of the campaign period. Qualifying Games: Dragon Maiden, Sizzling Spins, Legacy of Egypt, Street Magic, Rise of Olympus and House of Doom. The TOP59 scoring players by midnight on 2nd December 2018 will win cash prizes ranging from €w0 – €1,000, credited with no wagering requirements by 17:00 CET on 3rd December 2018. A leader board is available within the game clients. All players, scoring minimum 2 points on any day, will be included into the next day’s prize draw. 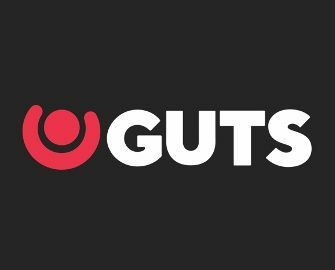 Guts Casino will raffle off one tech gadget every day of the campaign. A cash alternative is not available. Winners will be notified shortly after the draw. Prize Draw Three – 29/11/2018: iPad 128GB – WiFi – in Silver, Gold or Space Grey. Prize Draw Four – 30/11/2018: Samsung Galaxy S9+ 128GB – in Midnight Black, Coral Blue or Lilac Purple. Prize Draw Five – 01/12/2018: Apple iPad Pro 12.9in 256GB WiFi – in Silver, Gold or Space Grey. Prize Draw Six – 02/12/2018: Apple MacBook Air 13-inch: dual-core Intel Core i5, 128GB. Prize Draw Seven – 03/12/2018: Apple iPhone Xs 256GB – in Silver, Gold or Space Grey.